Work has been stressful to say the least. It always starts getting stressful towards the end of the year but I guess I feel like this year it’s coming a little earlier. I’m not sure if it’s because we hardly had any snow days so the kids have spring fever or if it’s the fact that state testing is coming up and the kids are getting antsy about it. I know I’m getting antsy about it. In addition to all of that I have a ton of IEP meetings. While this is totally normal at the end of the school year I just am having difficulty getting motivated to actually write all of them. There’s just too much going on both at work and personally right now and I’m trying to keep track of everything and it’s hard! So why am I telling you all of this? Because once again I’ve been on the hunt for easy dinner recipes. I feel bad but dinner has been getting pushed to the back burner lately. That’s not to say that I haven’t been cooking because I still cook around 5 days a week but I’ve been making a lot easier recipes. We’ve had breakfast for dinner, meat and vegetable quiche, and a lot of pasta. 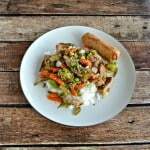 All dishes that are a snap to make and filling but aren’t necessarily the healthiest recipes. 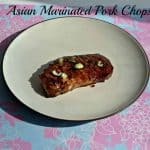 These Korean pork chops are an easy to make recipe that go well with rice for a flavorful and easy to make meal. I think a side of sauteed green beans would go well with them as well. 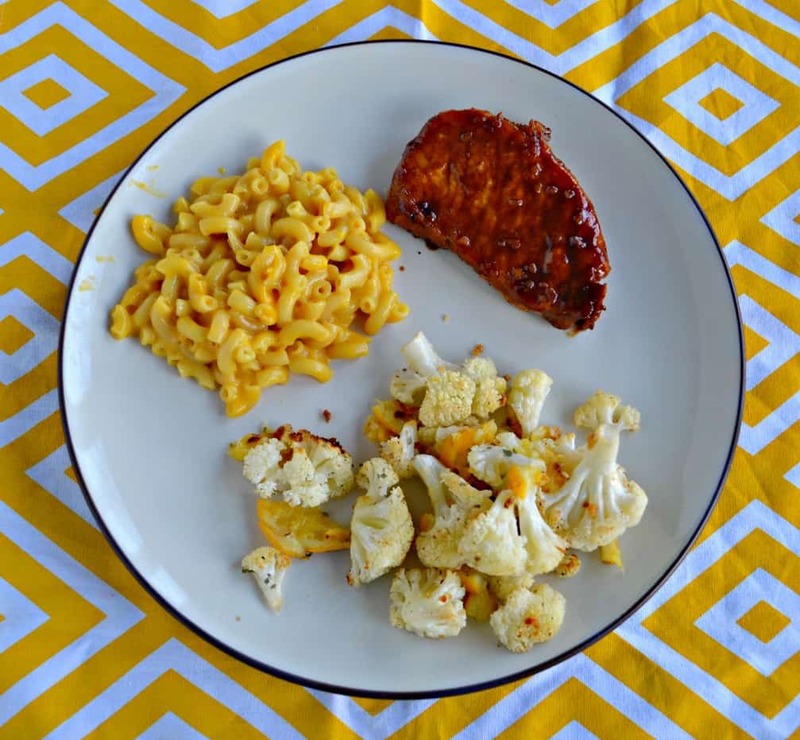 The pork chops have a sweet and spicy flavor to them. The sauce thickens up a lot while cooking and it really sticks to the pork chops. 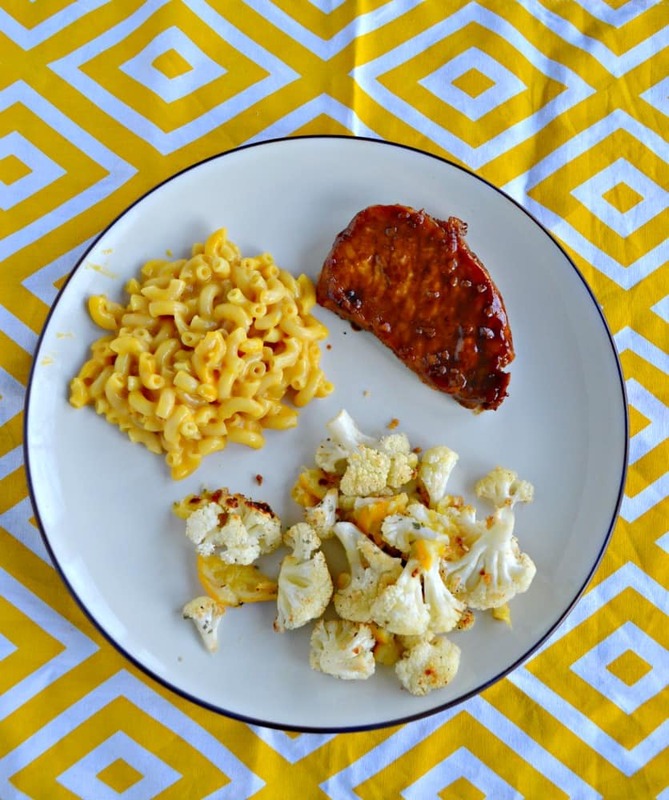 Try these easy to make and delicious sweet and spicy pork chops! Heat the olive oil in a skillet over medium heat. 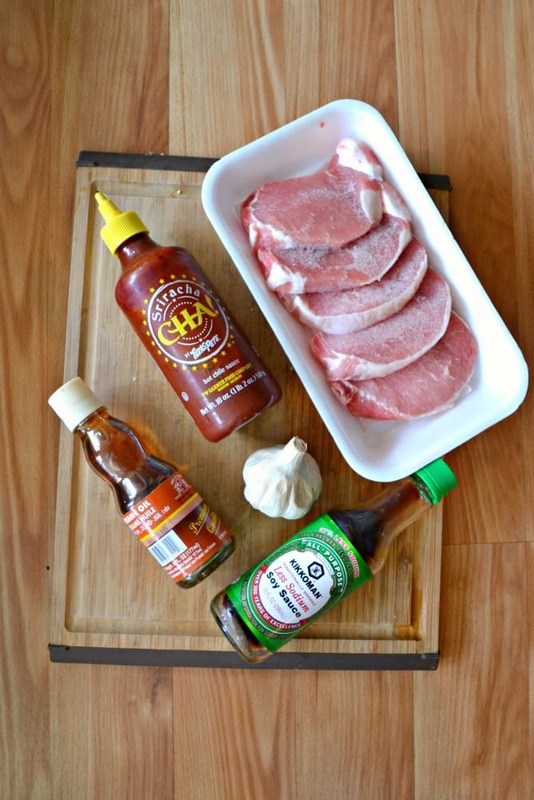 Add the pork chops and cook for 2-3 minutes per side or until just browned. 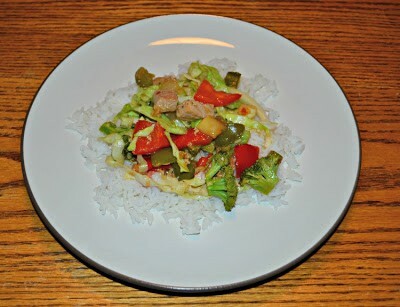 Combine the soy sauce, honey, garlic, sesame oil, ginger, Sriracha, and black pepper in a small bowl. 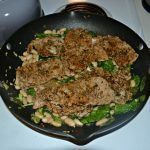 Pour into the skillet on top of the pork chops. 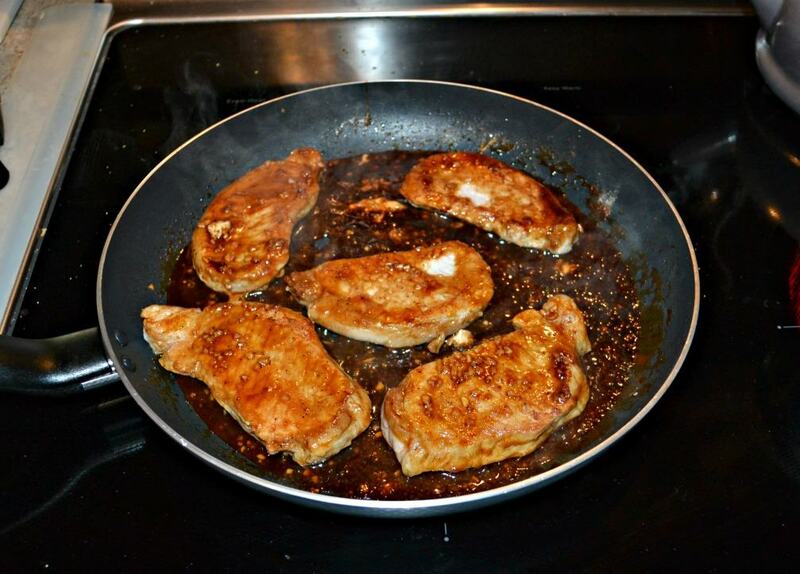 Continue cooking over medium heat for 7-8 minutes, flipping the pork chops once, until the are cooked through.